Do you need to attract more customers to your business? 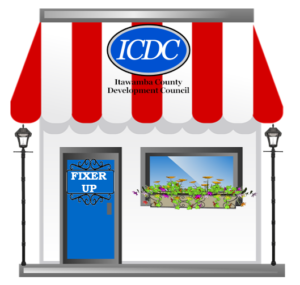 All ICDC members are invited to apply for the Fixer Up small business grant. The overall goal of the grant is to assist businesses in making their storefronts more aesthetically pleasing to invite customers to take notice, stop, and shop! We are here to help drive more business to your door. Below are the guidelines and application. You can complete the application and email it to vmartin@itawambams.com, mail to PO Box 577, Fulton, MS 38843, or drop it by our office at 107 W. Wiygul Street in Fulton. If you have any questions on the grant guidelines or application, contact us at 662-862-4571. Let us help you Fixer Up!